At First, We would like to wish Merry Christmas and Happy New Year 2018 to all our Clients, Themes and Plugin Users, Supporters, Followers, Well Wishers and All WordPress Lovers. We are offering a huge discount on all our Premium WordPress Themes on the auspicious occasion of Merry Christmas 2017 and New Year 2018. In this festival time, Acme Themes is offering 40% Discount on every product. We have 14 premium themes with 3 different pricing plans. You will get 40% discount on every pricing plans as well. In order to get this offer, use coupon code CN40 during checkout. This offers valid until 15 January 2018. Grab and secure your copy today with this huge discount. Acme Themes is creating fast, optimized, professional, cleanly coded and fully responsive WordPress themes with limitless possibilities to create your website unique and beautiful. 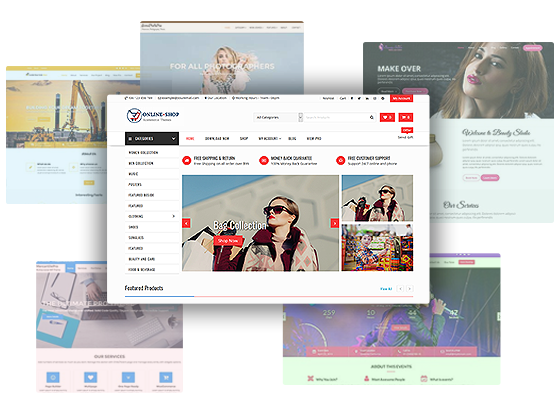 Acme Themes has developed both niche base and multipurpose WordPress Theme which include Magazine, Corporate, Photography, Medical, Education, ECommerce and Blog themes. In the result, we are providing best and elegant WordPress themes with useful features and attractive design. You will get dedicated supports and updates even in this deals. Our experts will mentor you in your problem via support forum, email and live chat. If you have any feedback and suggestions, please comment us below in the comment section. Once Again, Merry Christmas and Happy New Year – 2018!